It was an emotional day for native landowners in Sarawak. Outside the courthouse in Kuching, tears of joy were flowing freely and native landowners from all parts of Sarawak hugged and congratulated each other. High Court Judge Datuk David Wong had just delivered his ruling on two cases in Kuching this morning: Agi Ak Bungkong & Others v Ladang Sawit Bintulu Sdn Bhd and Mohd Rambli Kawi v Superintendent of Lands & Surveys Kuching Division and Another. In both cases, the High Court Judge held that the respective communities had proven that they have native customary rights over the disputed land, and awarded them damages and costs. 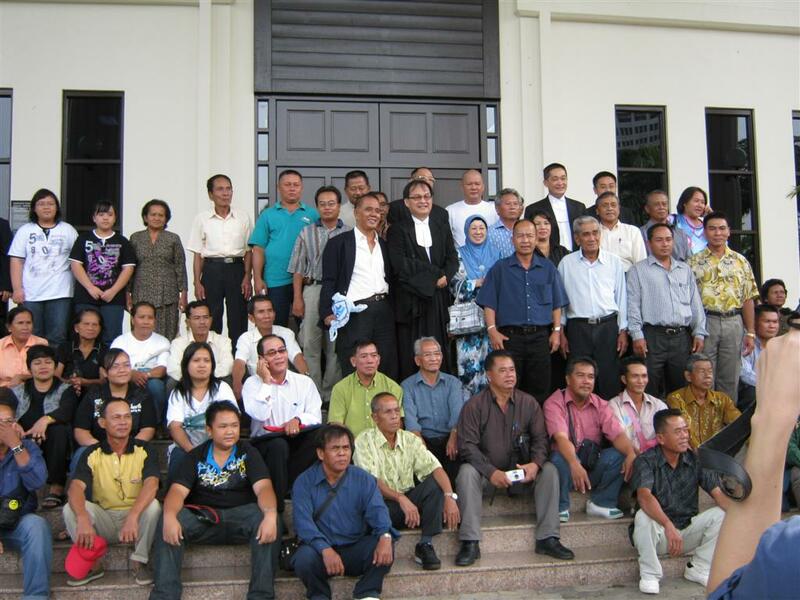 In 2001, Iban longhouse headman Agi Ak Bungkong, together with two other plaintiffs commenced an action on behalf of themselves, and resident members of the 196 Iban families of 15 longhouses. These longhouses, Rumah Aji, Rumah Tuah, Rumah Asap, Rumah Penga, Rumah Tedong, Rumah Kan, Rumah Gilan, Rumah Bilong, Rumah Bungau, Rumah Unggang, Rumah Wilson Empeni, Rumah Madel, Rumah Tungat, Rumah Linggi and Rumah Berendak claimed that they had acquired, created and inherited native customary rights, native title and usufructuary rights over a specified area, the native customary rights land of the longhouse communities, of Selezu, Setulai and Sepadok of Sebauh District, Bintulu, Sarawak. Premised upon his ruling that the 15 native Iban communities had proven their native customary rights over the disputed area, the High Court Judge ordered that the two provisional leases be rectified to excise out the native customary land of the Plaintiffs. The Defendants, including the Sarawak government, were ordered to vacate the land at once, and to deliver vacant possession of the land to the Plaintiffs immediately. 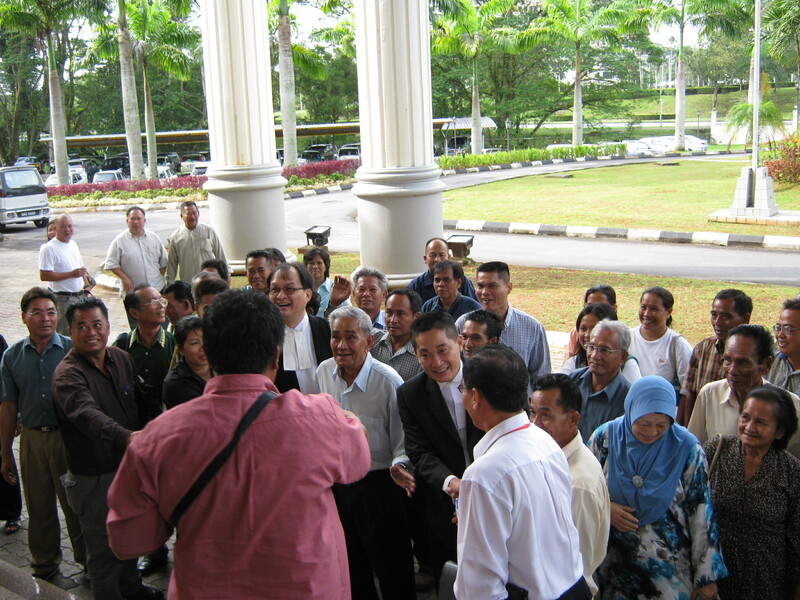 The Kuching High Court further ordered damages and costs for the Plaintiffs. 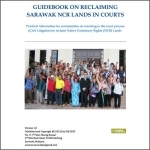 In the other case, Haji Mohd Rambli Kawi claimed that he had acquired native customary rights over 51 parcels of NCR Land situated at Loba Rambungan, Kuching, Sarawak. 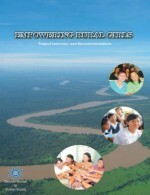 In 2002, the Sarawak State Government published an extinguishment notice terminating the Plaintiff’s NCR over the land. The land was said to have reverted back to the state. In accordance with the provisions of the Sarawak Land Code, Haji Rambli submitted to the Kuching divisional Superintendent of Lands & Surveys 47 claims for compensation for NCR over the land. The Superintendent rejected all his claims. 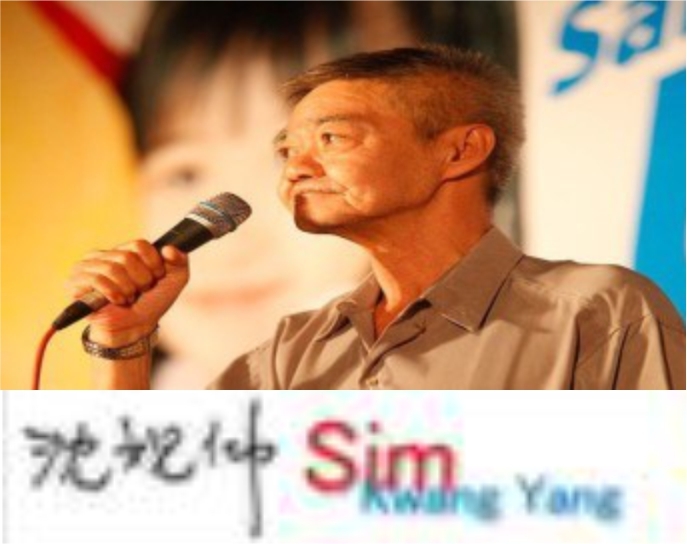 In his decision, Datuk David Wong held that Haji Rambli had proven that he had acquired native customary rights through “serah”, a Malay custom and practice he declared to be given the force of law. The High Court ordered that Haji Rambli be compensated for his native customary rights extinguished over the disputed land, with interests at the rate of 4% per annum from the date of extinguishment and 8% per annum from today, the date of judgment, to be paid by the Defendants. It was further ordered that costs of this action is to be paid to Haji Rambli by the Defendants, to be assessed by the Court unless agreed by parties. 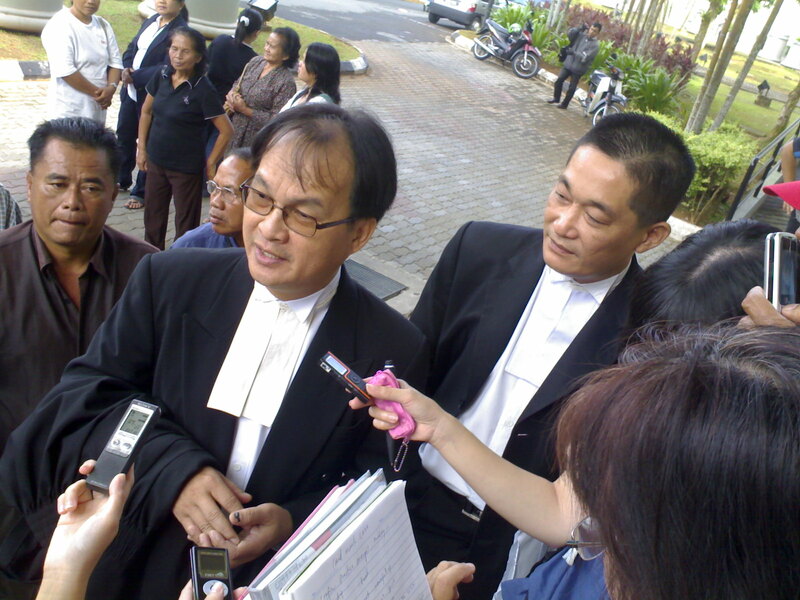 In both cases, the Plaintiffs were represented by Baru Bian and See Chee How. Iha ningan, God is Great!!!!!! !I TOTALLY agree with Peen Keening, BARU BIAN should be our next Chief…M. Isn’t Baru means new, come on lets have a new chief. Well done Baru Bian and See Chee How 🙂 Many of us jump with joy for your triumph and decades of effort fighting for justice for fellow Sarawakians. Baru Bian, you have to be the next Chief Minister of Sarawak. Instead of having their land taken away, all native Sarawakians should have at least 10 hectares of titled land for each family. Awe, this is such a great day for Sarawak! Thank you to everyone involved in making this possible. do right at the next election. Please allow the people time to enjoy their day before bringing politics into the celebrations! Well done to all involved in winning for the native Iban, I grew up in the Sarawak and have see too much injustice carried out against the locals. Seeing this makes my proud to be an Iban. Well done! Exellent Work ! Thank you very much to Mr Baru Bian and Mr See Chee How for their decades of commitment and struggle in defending the rights of the natives of sarawak. More native lawyers should come forward and help to pursue this angelic cause for their own people. Thank you to Justice Datuk David Wong for his courageous decision today in upholding justice for the people. well done, and a most apt title. It is indeed a good day for justice, in addition the much maligned decision in Boonson Boonyanit vs Adorna Properties has now been overruled by the Federal Court. i m happy with this as well as anxious. anxious on wether the Swk Government will respect the court’s judgement.l I hope the court will not bow down to any pressures asserted by Swk Gov and the rule of law prevail. Then, there are still hope for this country. THE GOVT NEVER LEARN, ONLY THE PEOPLE LEARN. Hopefully the Sarawakians really learn from the court rulings. The unfavorable outcome of the appeals court later would mean the BN govt is disgustingly arrogant and is not fit to manage this country towards prosperity. To vote for the BN again is voting for Disaster. Marcos did it to the Philippines. Suharto did it to Indonesia. 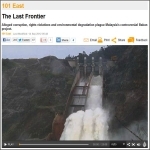 Myanmer, Zimbabwe … we ‘the rakyat’ have the power and rights to stop the rot. Please save Malaysia, everyone! 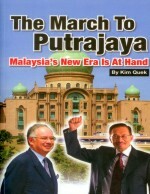 If East Malaysians do not know how to demand and make full use of their positions as the king makers, Allah bless them. This is the time, and strike while the iron is hot, brothers and sisters, demand for more development infrastructures like better transportation, good roads, schools, electricity and water, demand just anything. If you do not demand now, if at all the Bolts&Nuts are returned with a better majority come the next GE, you will be conveniently forgotten and neglected for many many years, and then you will be behind, way behind to compete again. 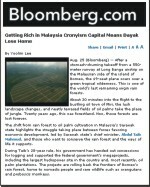 Wake up East Malaysians, do not be happy with small concessions. They have stolen everything imaginable from you. Everything in East Malaysia belongs to the East Malaysians! Today, they are lying in banks in offshores country. Demand and you will get now, East Malaysians. Wake up and now! Be prepared for the increase in the price of everything very very soon. What they give you now, they will get back from you immediately. Just demand and dump them come the next GE. That is the best you can do for your future generations. You need to be independent in your views free from the manipulations of evil politicians and the crocked up mass media. 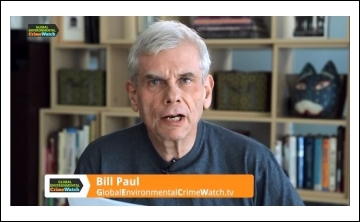 Wake up now, East Malaysians! oh! oh! don’t celebrate too soon. Nowadays many High court cases are appealed against and the ruling will be overturned. Because got people higher than High Courts. Anyway all the best and congrads!! Can somebody please wake up Taib Mahmud? I certainly hope that our native brothers sisters and friends in Sarawak get the message and will do right at the next election.